The mission of the Boys & Girls Clubs of Columbia (BGCC) is to inspire and enable youth ages 6 to 18 to realize their full potential as productive, responsible, caring citizens. The Boys & Girls Clubs of Columbia envisions a future in which success is within reach of every child in the Columbia region, empowering themselves and influencing future generations toward making a difference for themselves, their community and the global community. Since 1997, BGCC has been providing a safe place for children to learn and grow. The Club now serves over 800 kids at three sites in Columbia. The Club is open during hours that kids are most likely to need a safe place to go — after school and during summer. 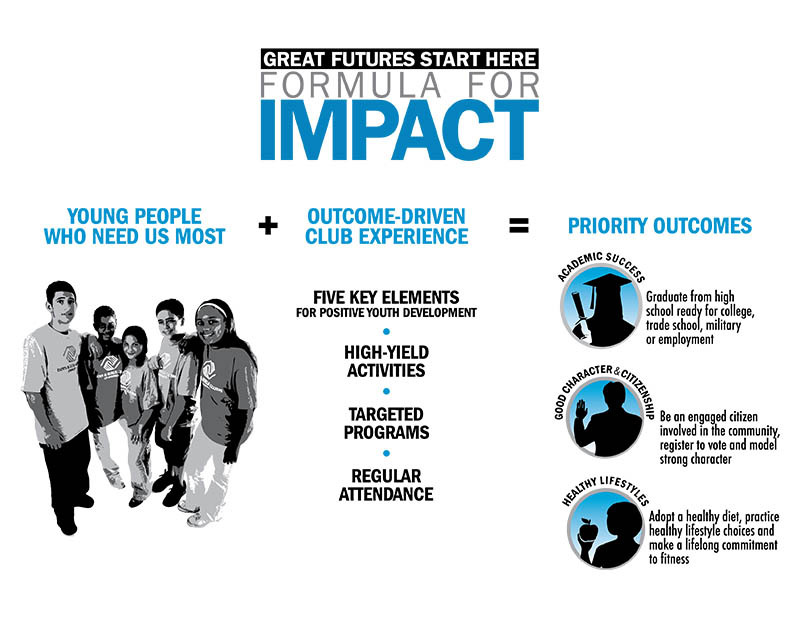 BGCCs “Formula For Impact” is a research-based theory of change that calls for us to consistently provide the most powerful Club experience possible by implementing the Five Key Elements for Positive Youth Development, offering high-yield activities, providing targeted programs, and encouraging regular attendance – all of which we know help youth achieve priority outcomes. We complement our holistic, ongoing focus on the overall Club Experience by identifying the essential components of high-quality implementation and ensure that program design and content effectively achieve desired outcomes in those targeted programs. In addition, Clubs promote the importance of regular attendance. The level of impact a Club has on young people depends on the frequency of their participation and attendance. Youth demonstrate increased engagement in school and learning, and show improved Academic Success. Our vision is that every member progresses to the next grade level on time and graduates with a plan for the future. Youth demonstrate an increase in Good Character & Citizenship through positive character traits, civic engagement, and making contributions to their community. Our vision is to inspire a generation of civically engaged youth who balance self-concern with concern for others. Youth leading Healthy Lifestyles demonstrate improved healthy habits and decision-making skills and show a strong commitment to leading a healthier lifestyle. Our vision is to empower youth to make healthful choices. Since 1997, Boys & Girls Clubs of Columbia has been providing a safe place for children to learn and grow. BGCC now serves nearly 700 kids, and has expanded to three locations throughout Columbia. Our membership fee structure allows any child the opportunity to join. The Club is open during hours that kids are most likely to need a safe place to go – after school and during summer. Nationally recognized programs led by professional staff are targeted to inspire and enable youth to realize their full potential as productive, responsible and caring citizens. The Club is a chartered member of the Boys & Girls Clubs of America (BGCA), which has 4,000 chartered locations that serve nearly 4 million youth annually. In 2012, The Chronicle of Philanthropy ranked BGCA as the nation’s top youth organization for the 19th consecutive year and 18th among all non-profit organizations. BGCC is part of a proud tradition of service to our nations’ youth that promotes character and leadership, community and civic involvement, and safety and well-being. As BGCC entered the second year of the National Youth Outcomes Initiative (NYOI) implementation, our measurement efforts retain their laser focus on how well our Clubs implement the Formula for Impact and how much our young people are achieving as a result. Our team of youth development professionals is in a continuous, collective learning mode, using the data to influence planning and operational decisions and to make improvements to programs and services. Keep up to date with the latest events, news and happenings of the Boys & Girls Clubs of Columbia!